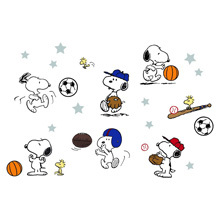 Snoopy™ is every baby's favorite beagle, and now he and his sidekick, Woodstock can join your baby in a fun filled sport themed nursery. All items in this playful collection come in hues of blues and grays with accents of red and yellow. 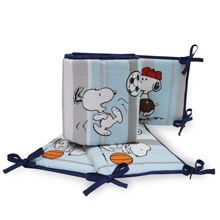 A soft furry appliquéd Snoopy™ is featured on the comforter. 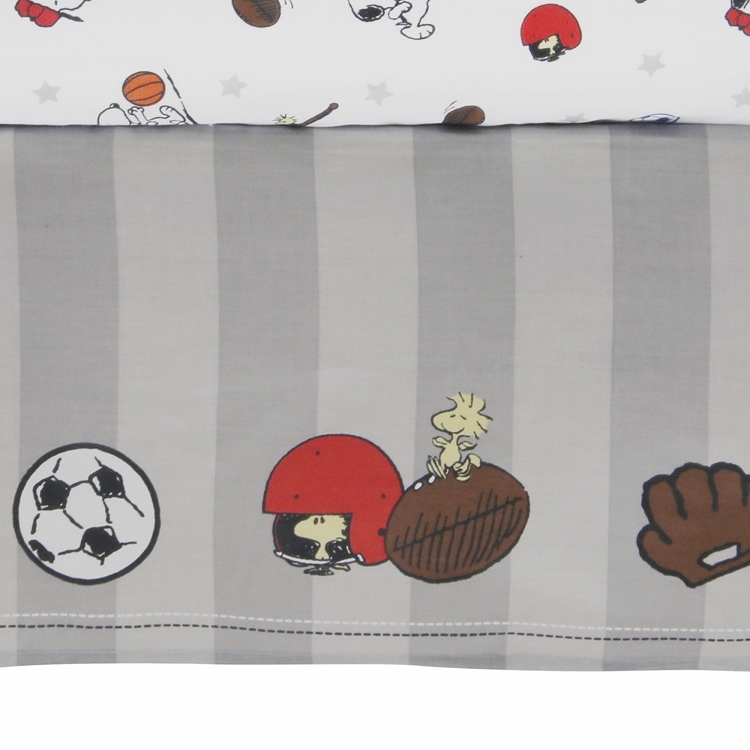 Multi sport options decorate the 4 piece bumper, fitted sheet, and dust ruffle. 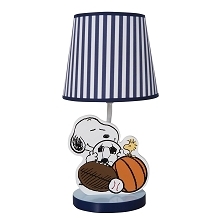 Additional accessories include a musical mobile, lamp with energy efficient bulb and shade, and a baby blue blanket with appliqué. Complete this action packed collection with our easy-on, easy-off wall appliqués. Our 3 piece crib set includes a comforter, dust ruffle, and fitted sheet. The bumper is sold separately. 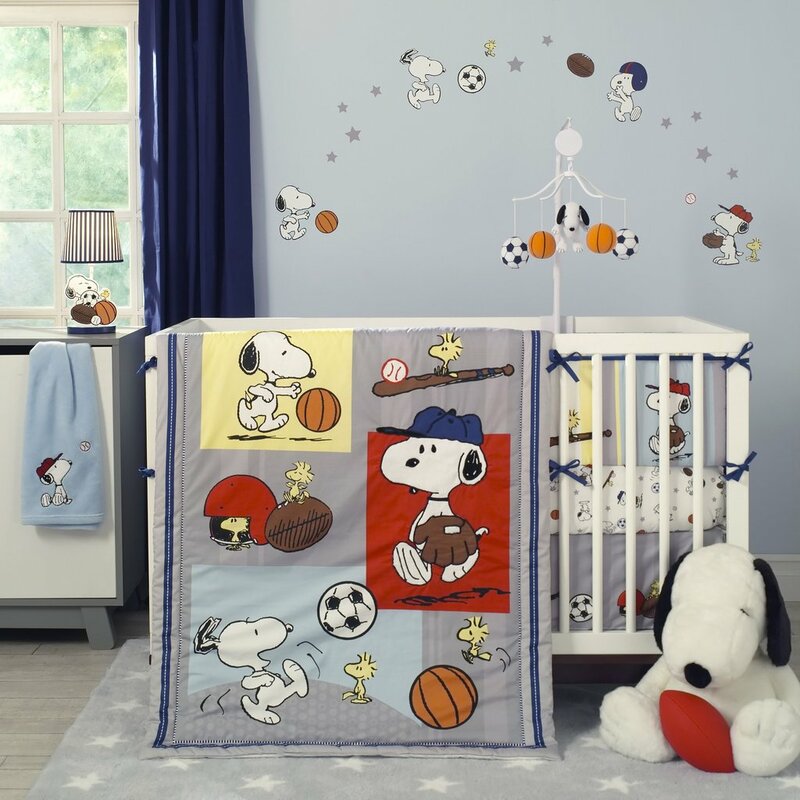 The comforter measures 35" x 44" and showcases a large appliquéd Snoopy™ and baseball mitt. 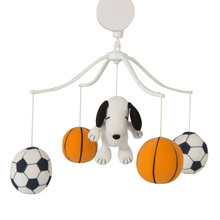 The sports-themed dust ruffle has a 10” drop and features sports themes on all four sides. 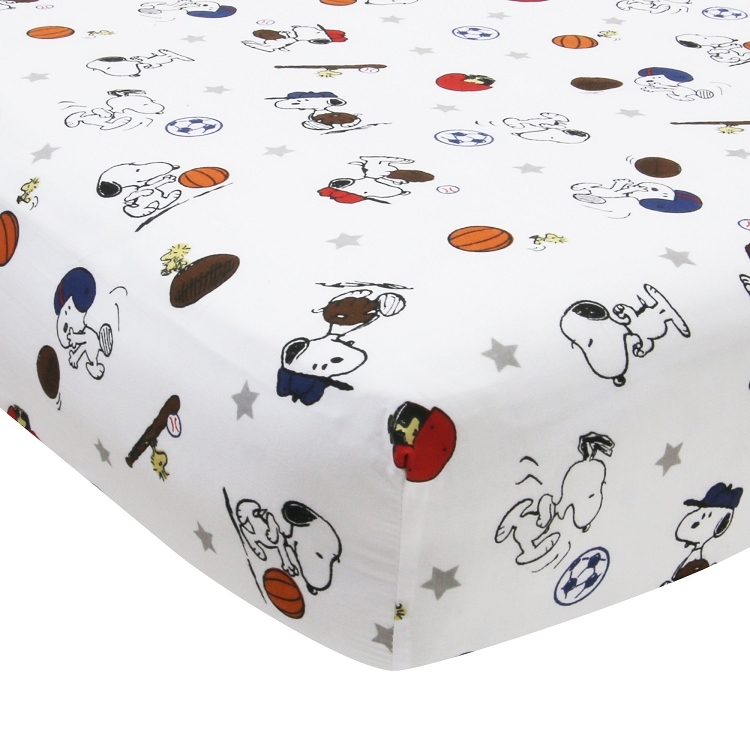 The colorful fitted sheet will fit a standard crib mattress.